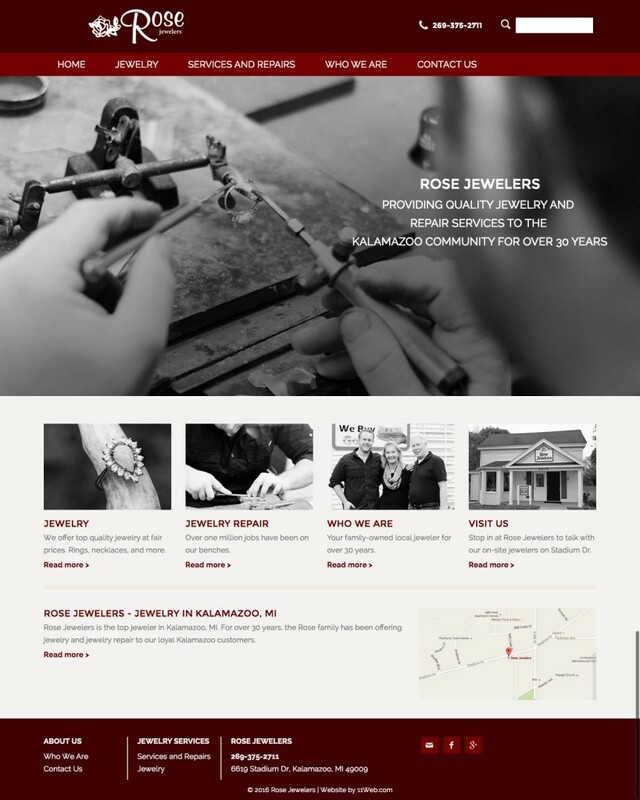 Rose Jewelers is a rapidly growing jeweler in Kalamazoo, MI. Started over 30 years ago, the second generation of ownership has joined in and is making some big changes in the business. This includes a new website. Jim came to us with a one-page website, built by a company that used to print phone numbers in big yellow books (can you imagine?! 🙂 ). 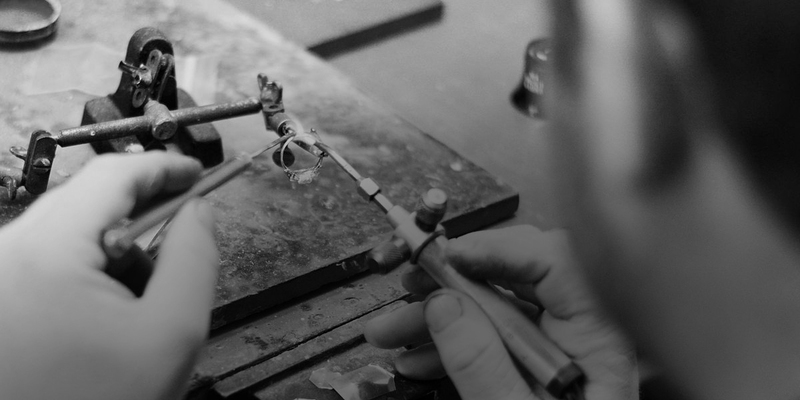 He wanted to share more information than just one page, since Rose Jewelers now has so much to offer, from custom jewelry to repair to gold buying. We suggested a simple customization of one of our own WordPress themes. 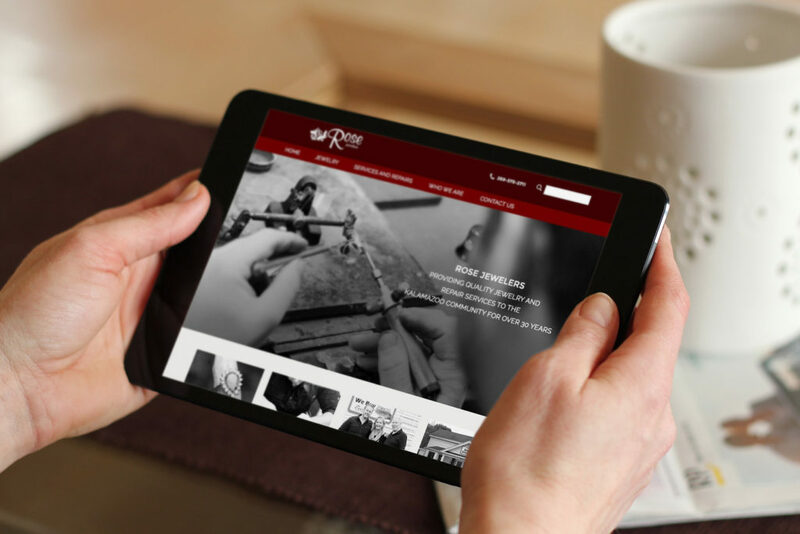 Using this approach, we created a beautiful, informative website within the client’s budget.